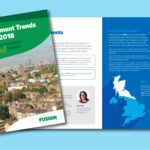 The Fusion21 Procurement Trends Survey 2019 is also gathering individuals’ views on how external factors such as The Hackitt Report and Brexit influence the way they do their jobs — and will provide an insight into topics including recruitment and asset spending patterns. Last year’s survey, and the resulting Procurement Trends Report, revealed that organisations up and down the country were increasingly acknowledging the strategic value of their procurement teams, with more than two thirds (67%) of respondents reporting procurement is considered a strategic function. In the wake of the Grenfell Tower fire, results confirmed compliance had been the focus of renewed scrutiny. More than half (51%) of those surveyed said the tragedy had led to their organisation placing greater emphasis on quality when making procurement decisions, especially in relation to fire safety. Procurement professionals can visit: https://www.fusion21.co.uk/procurementsurvey to fill in the anonymous online survey, sharing their experiences over the last 12 months. 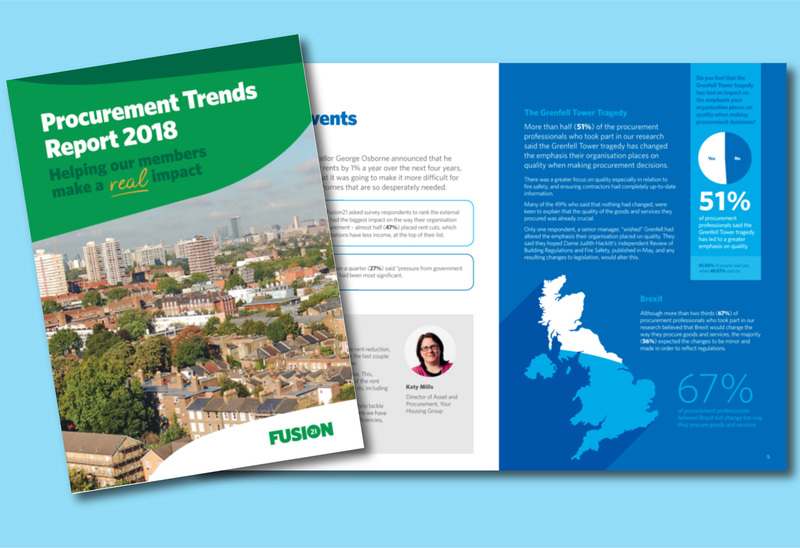 A donation of £5 will be made to Cancer Research for each completed survey, and all respondents will receive a copy of this year’s Procurement Trends Report and headline statistics in June.